Welcome! The most important thing for me is living a life I love serving a purpose that matters to me. And what matters to me is you. As women we are constantly struggling to believe in our own self-worth. And these doubts and fears about our personal value stop us from doing the very things we know will make us happy. We keep listening to those old tapes that are playing in our head about why we “couldn’t, shouldn’t, wouldn’t” do something. I get it! I used to do that too. I used to let what others thought I could or should do, dictate how I was living my life. But, not anymore!! I was tired and, quite frankly, fed up with living the life everyone else thought I should be living. How did this happen, I wondered? This is not the life I always imagined I’d be living. How did I end up always doing what I felt I needed to do, rather than what I wanted to do?? Then one day, it hit me! It was because of me - I was the one constantly giving my personal power away to others!! No one was making me do the things I was doing. I had a choice. I realized then and there that if I truly wanted to live my life, my way then I needed to STOP. I needed to turn off those old TAPES (things that Take Away Power, Energy and Sense of Self) and create my own DVD: Destiny with Vision and Determination. I wanted to Cz the Day! and live my life, my way! And once I started to make better choices for me, I made another wonderful discovery. . .that when I am happier the people around me are happier! So what is it that will make you happy? To start or grow a business? To figure out your life purpose? To transition from doing what you always felt you needed to do, to doing what you want to do? Let's bring your heart's desire to life and create your own success story! You know, I believe we all have so much more potential than we realize. And I also believe that we can have and do deserve to live a live we love. So what is it that you would love? Tell me your secret and I will share mine with you. 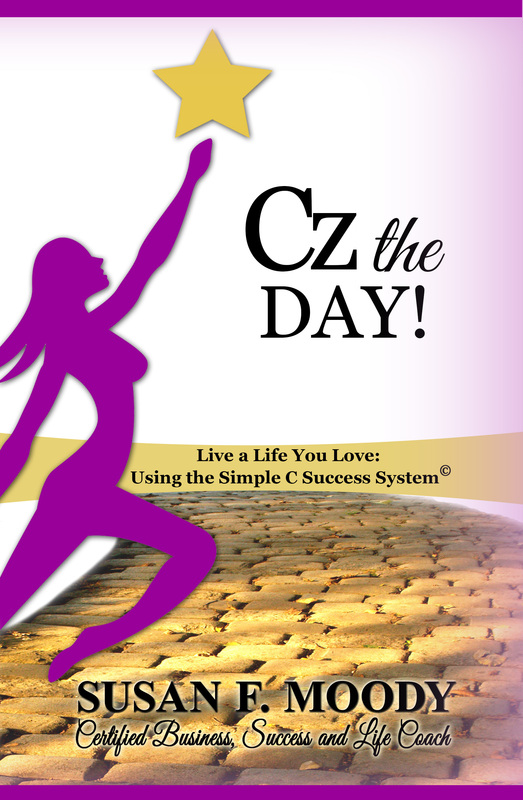 My Simple C Success System©, the exact system I use to create my own success, that can help you Cz the Day! and Live Your Life, Your Way. Ready to get started? More of a DIY Kind of Gal? CLICK HERE TO BUY my book on Amazon and learn the Simple C Success System. Book includes worksheets that walk you through the success system at your own pace. Listen here to my interview with Francisco Aguirre.